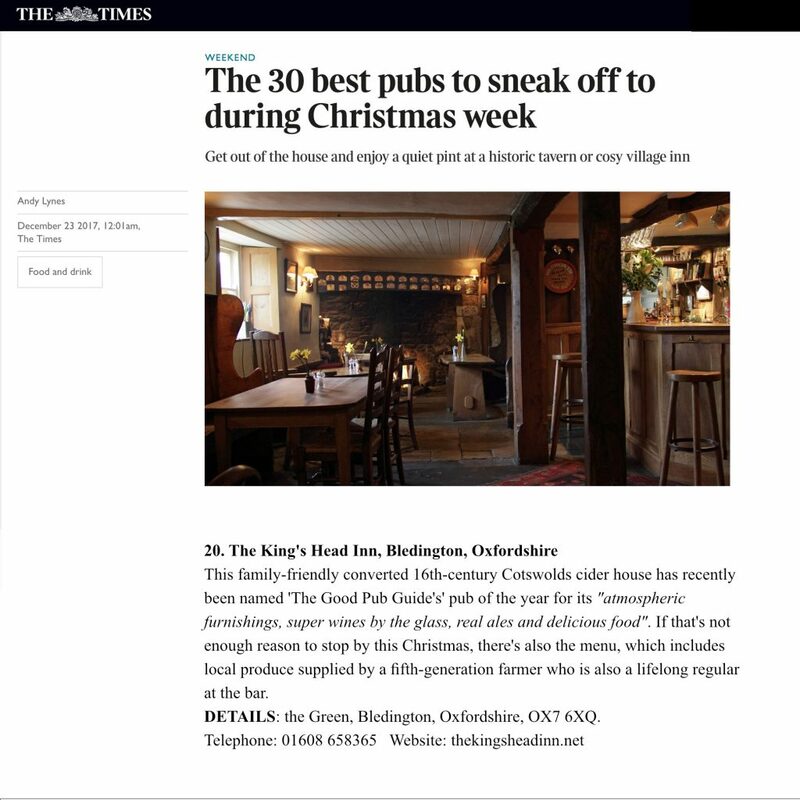 We’re thrilled to have been included in the Weekend section of The Times and The Times Online in this article by Andy Lynes about the 30 best pubs to visit during Christmas week. This family-friendly converted 16th-century Cotswolds cider house has recently been named ‘The Good Pub Guide’s’ pub of the year for its “atmospheric furnishings, super wines by the glass, real ales and delicious food”. If that’s not enough reason to stop by this Christmas, there’s also the menu, which includes local produce supplied by a fifth-generation farmer who is also a lifelong regular at the bar.